Part of the benefits of having an Android device is being able to install an app on it. Installing is as simple as one, two, three; just search for your desired app on the Google Play Store and hit the Install button. Though installing apps is easy, they can be installed as either user apps or system apps. User apps are installed in the typical way via the Google Play Store, Amazon Appstore, third-party markets, or sideloading. In contrast, system apps are apps pre-installed in the phone’s system partition with your ROM and typically, Android device users don’t have the access to the system partition. This means that, ordinarily, users cannot directly install apps to or uninstall from the system partition. You can install user apps as system apps by using such apps as Titanium Backup, but you have to go for the paid version of the app to be able to enjoy such feature. However, there are other methods to install user apps as system apps without paying fees. Check out this guide for methods of installing ordinary user apps as system apps. A rooted Android device. If you haven’t rooted your Android device yet, you can check outour list of the rooting methods we’ve covered. Enable USB debugging on your Android device. 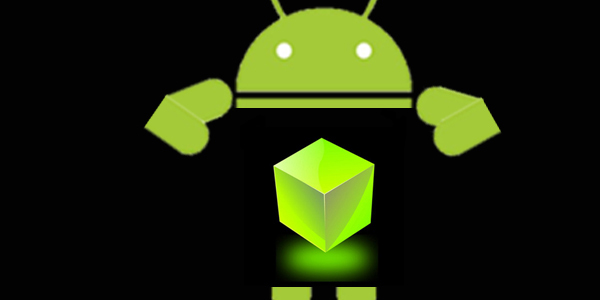 On most Android devices, you can find USB Debugging in Settings > Applications > Development. For this method, you will need root access and the ES File Explorer app. You can download this app free from the Google Play Store. Select Menu and choose Settings. Under Settings, enable the options for Up to root and Root Explorer. A message will appear, requiring you to confirm your action. You will also need to confirm Superuser access. Go back to the app’s main menu. Install an app from the Google Play Store. For this guide, we will be using the app BioRhythms as an example. Launch ES File Explorer and navigate to /data/app. Locate the APK file that you want to install as a system app. If you don’t know the APK’s filename, simply go to the Google Play Store link of your chosen app. View the link and take note of the words after “?id=”. This will be your APK’s filename. For instance, the BioRhythms app link is https://play.google.com/store/apps/details?id=app.biorhythms. The BioRhythms’ APK is app.biorhythms-1.apk. Create a backup of the chosen APK by copying it to the phone’s SD Card. After creating a backup, long tap on the APK file and a menu will appear. Choose Cut. A blue arrow will appear at the bottom of the screen. Go back to the main menu and navigate to /system/app/. Drag the little arrow at the bottom of the screen. It will bring up the icon of the APK file. Tap the APK file and it will be transferred to /system/app/. Find the APK file in /system/app/. Press and hold it and a menu will appear. Select Properties on the menu. The dialog properties will show up. Tap Change and it will show the permissions dialog box. Select OK once the required settings have been made. You app is now saved as a system app. Here you can get complete details about Baixar Aptoide. © Copyright 2015 Technology Geeks. Designed by Bloggertheme9 | Distributed By Gooyaabi Templates.